Teachers love and trust Teachley to support learning in the classroom. Help your child develop strong math understanding at home with our award-winning math apps. WE DON’T RELY ON DIGITAL FLASHCARDS AND WORKSHEETS. Our characters show kids how to master different math strategies, like using doubles facts, the distributive property, and understanding fractions on a number line. WE USE VISUAL MODELS TO AID LEARNING. Children who struggle fail to learn key math strategies. That’s why we help students visualize these strategies using models. Get all five of Teachley's award-winning math apps for your child to play at home! For younger students, make it easy for your child to move on to the next content as soon as possible. For older students, make sure they have mastered the basics while also working on challenging upper-grade content. Buy the iPad Bundle, and get all 5 apps for 30% off! Or buy them individually for $3.99 each (US $). Addimal Adventure was one of only 12 apps to be recognized for outstanding innovation in design in 2014. Children learn and practice four effective strategies to solve addition problems then demonstrate their fact fluency in a fast-paced game. Most fluency apps use drill-based approaches, such as flashcards and multiple choice. In contrast, Addimals EDU focuses on teaching effective math strategies and scaffolds learning to promote conceptual understanding and fact fluency. Developed by teachers and experts in children’s cognition and learning, Mt. Multiplis is an engaging game that teaches multiplication through the commutative and distributive properties. While most multiplication apps focus on drill with digital worksheets and flashcards, Mt. Multiplis scaffolds learning to promote conceptual understanding and fact fluency. Help your math fluency soar! Fact Flyer helps 3rd-5th grade students gain math fact fluency in multiplication and division through the support of powerful, research-based strategies. Developed by teachers and educational researchers, this app provides scaffolded hints to help target fact fluency. Fractions Boost is an exciting 3D racing game that helps children in 3rd-5th grades gain conceptual understanding of fractions while learning how to represent them on a number line. 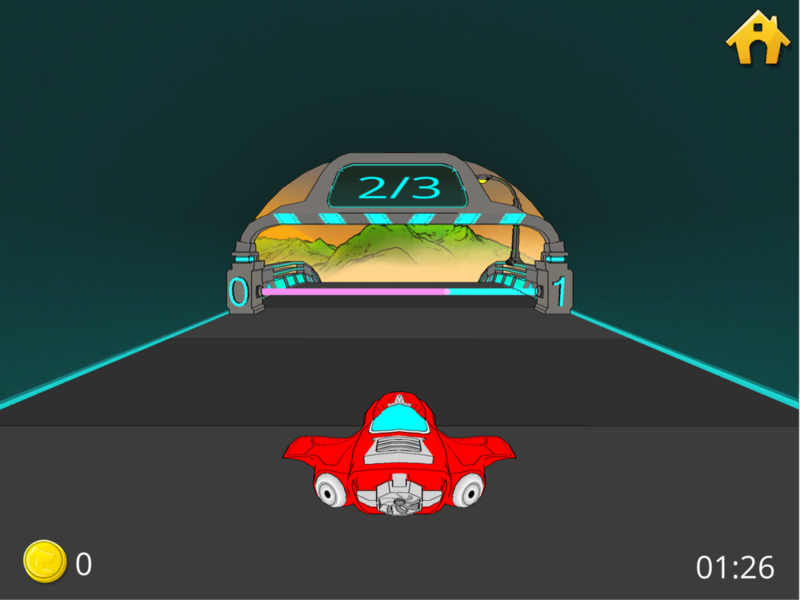 Children race through a futuristic world, driving through number line checkpoints and fraction tunnels.